Promethean Solar was founded on the belief that solar makes our communities healthier both physically and economically. We feel as though we have a responsibility to each other to make our air cleaner and our energy sources more stable and reliable. Our staff has been involved in solar and project financing for over a decade and has contributed to solar arrays all over the world. We work with businesses, communities, and schools to provide affordable and stable solar power. Promethean Solar works with businesses of all sizes to help dramatically reduce their energy costs and maximize the financial returns of the project. 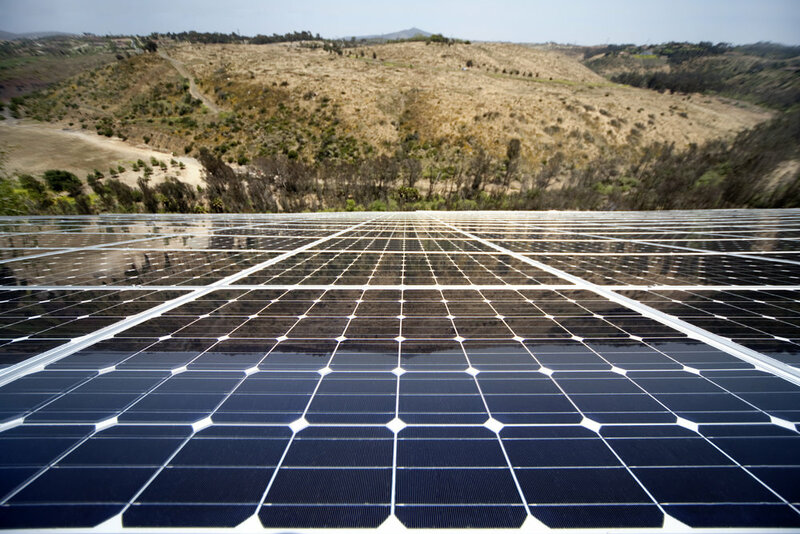 We finance, install, operate, and maintain solar arrays that are specifically designed to the needs of our clients. Our first step is to take inventory of the unique needs of the business so that we can tailor a bespoke solution for our client. Promethean is happy to build a system that is financed by the client, or to help the client by owning the system and selling the client power at a reduced rate. Our team are experts in project finance, design, and construction. We work with the client through every step of the process, including ongoing maintenance. To discuss how Promethean can help your business e-mail Info@PrometheanSolar.com. Our staff completed a portfolio of projects for a Fortune 100 client across North Carolina. We were involved from design all the way through completion. Each project was between 2-5 MW DC and were completed between 2015-2016. We used locally sourced labor on each of the projects and finished each one, under budget and on time.